Developer Quote: With various illustrations and texts, add a special story to your photo. You can make your photo more fun, wonderful, and meaningful. Using layers makes it easy to edit and fix up your photos. Your decorated pics are saved and ready to be sent at all times. The awesome illustrations, colors and text options are great to dress up your photos and tell a tall tale! 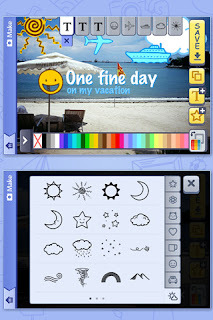 COOL CONCLUSION: "For a super story made out of your personal pictures, let Pictory be your story book narrator!"